A group of my friends are doing a month long challenge, incorporating both food & fitness. Each have 3 daily goals to hit every day related to food while the fitness side of it is basically getting their bottoms to the gym at least 5 days a week. It was fun to hear all their goals and how varied they were, however there were a few consistent themes…..
No wine, alcohol or sodas. No fast food, fried food, packaged food. Less coffee (notice how I just said “less”). What I love about this is that it simply cuts out all the crap food and allows their bodies to focus on nutrient rich, whole, real food. So, instead of making cupcakes or some wonderful dessert (I also use them as my taste testers) for them during our bible study, I decided to find something rich & sweet and healthy that would make their tastebuds happy. Dates are my “go to” anytime I want something quick and sweet so I pulled out my new package and started removing all the pits. It only took 1 or 2 times before I got the hang of it, but I simply used the skinny end of a chopstick, making a small hole in the back then pushed it through until the pit came out the other side. **you can also buy them already “pitted” but I didn’t this time around. I wanted to give it a good boost of protein as well so I filled up my pastry bag with about 1/4 cup of Organic SunButter and used that as my filling. So, why SunButter? Well, we are a nut-free home due to food allergies first of all. There are a few nuts that my youngest may be able to eat, but the fear of cross contamination keeps us away from all of them, especially because his life depends on it. Secondly, I choose SunButter because other people’s lives depend on it. In 2012, 4.1 million children reported a food allergy that year, peanut allergy being the most prevalent and affecting at least 3 million of those children (FAAN). This does not include the adults, who either had not outgrown the allergy OR developed it later in life. The third reason I choose SunButter is because it is now Top 8 Free! That means that those top 8 food allergies that individuals react to, are completely FREE from their delicious spread. If you are a visual learner like I am, here’s a handy infographic that gives you some quick stats on food allergies. Now, I didn’t mean to get all “HEAVY” on you with this post, but obviously this is something near and dear to me. We have had to overcome our share of anaphylaxis episodes (at least 8 epi injections given to my son in an 8 year period), several ER visits, several more 911 calls and I truly wouldn’t wish this on anyone. The point is though, I know we are not the only ones affected and I also know that some people never see an onset of a nut or other food allergy until they were eating a PB&J sandwich or drinking milk at school one day. Therefore, I figure that if there is a delicious & nutritious peanut-free option out there, why not use it? And because SunButter is delicious and nutritious, that’s my third reason for using it. Their Organic blend is simply made from roasted sunflowers. That’s it! 1 ingredient! It’s creamy, rich, contains 6g of protein and it’s just stinking good. Now when you use it to fill up some Medjool dates, oh my goodness, you’ve just taken it up a notch. It’s not only a safe treat, but its a healthy, wonderful, guiltless, decadent, sweet-tooth satisfying treat. 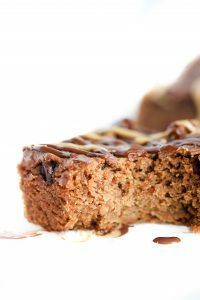 2 Ingredient, Allergy-friendly,healthy, wonderful, guiltless, decadent, sweet-tooth satisfying treat. On the opposite side, use the skinny end of a chopstick and poke a small hole in that end then gently push the pit through the other opening with the chopstick. Once you start to see the pit come through, grab and pull it out instead of pushing the stick all the way through. 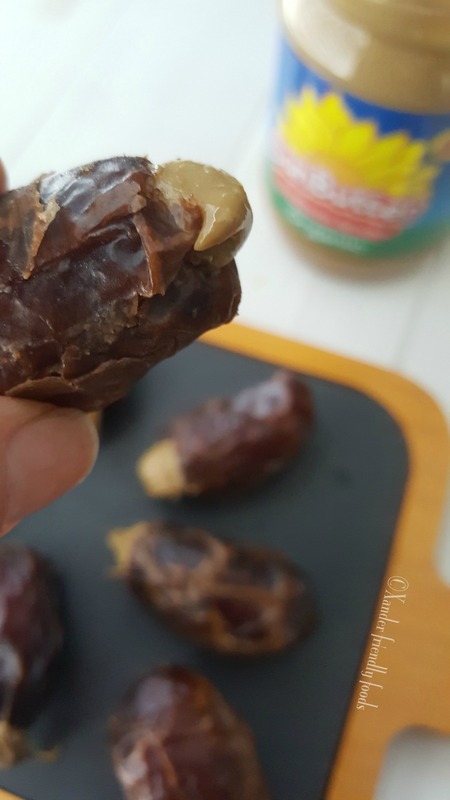 Fill a pastry bag with your SunButter and carefully squeeze into each date until filled. To make this even more decadent, melt 1/4 C. of Enjoy Life Foods (Top 8 Free) mini chocolate chips and dip 1 end of the stuffed date into chocolate. Set on plate and refrigerate until ready to serve. If you picked 3 daily food goals for yourself, what would they be? Do you know anyone with food allergies? 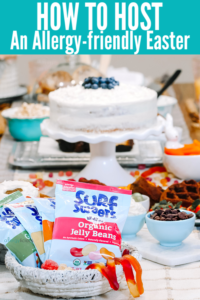 It may be someone in your immediate family, or maybe you found this blog as a way to find foods you can make for someone close to you all. Once you start looking and listening, you’ll begin to realize its bigger than you think. I already have 5 people come to mind outside of our home. Have you tried SunButter before? I am Blog Ambassador for their company because it has truly changed our food life. 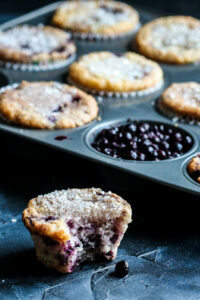 I encourage you to check out their site, it’s filled with amazing nut-free recipes. 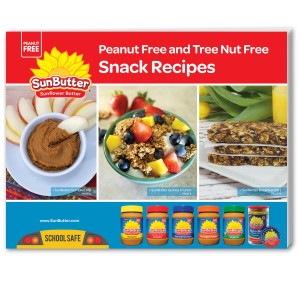 Click on photo below and you can download for their FREE Snack Recipe Book. 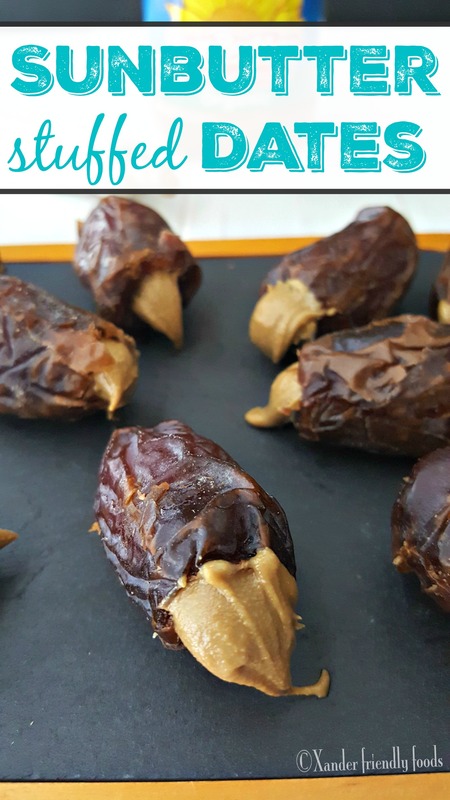 Such a great energy packed snack to keep anyone going! You are so right! Perfect & simple, energy treat. I love how simple this is! 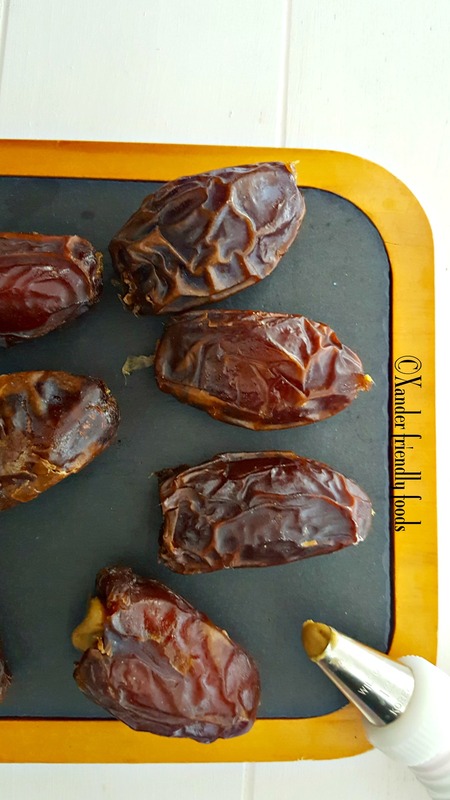 My kid is crazy about dates right now. I need to try this!